Where to begin? So much has been going on in the last several days! So many blessings. Today Makenzie had some little friends come over with her PT. She loved it! We played in the ball pit. We played with baby dolls, picture card, balls, and well anything those busy little girls could get their hands on! It was SO much fun! I told her therapist that we needed to borrow them to come and do therapy with Makenzie at least 3 days a week! LOL!!! Yesterday we met with a surgeon who was recommend by to me by Makenzie's rehab doctor. In the past 3 years I have consulted with 3 different GI doctors and one special care doctor about Makenzie's reflux and vomiting. All of these doctors all my shoved the FUNDO procedure down my throat as something I need to do for Makenzie. I have not ever agreed with them as the FUNDO is a treatment for reflux, not vomiting. The research I have done on it has been extensive and I have also spoken with many other parents who have children with some type of FUNDO. Despite it all I was still left with a very mixed bag of feelings about the surgery so I decided to call and speak with the rehab doctor who was not trilled about the idea of a FUNDO for Makenzie and asked me to talk to a surgeon she knew. So I did. To start our appointment I laid out all of Makenzie's struggles with reflux and vomiting. I went through her history with different methods of feed and formulas we had tried. I expressed my concern about the potintial side effects of the surgery. After I was done the doctor began to explain his thoughts on the surgery in general and specific to Makenzie. 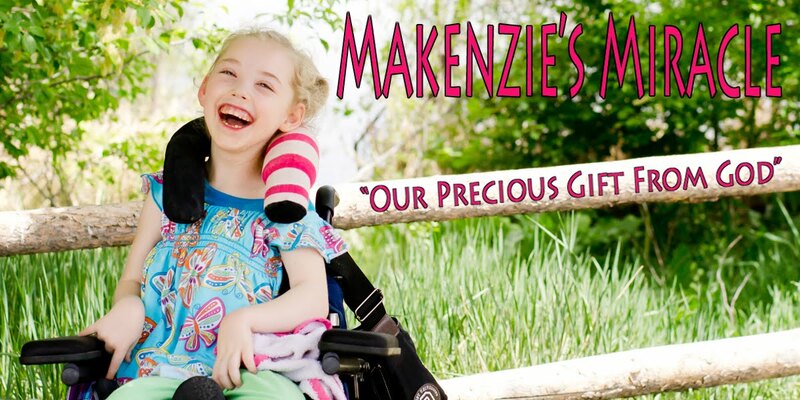 He started by explain why this type of surgery would be considered for a child like Makenzie. The bottom line is deciding whether or not the vomiting is hurting the child. "Hurting" was outlined by the doctor in two different categories. 1. It the child's respiratory system is affected with such things a pneumonia, worsening asthma, or very serious choking spells. Makenzie falls into neither or those categories. 2. Do the FUNDO. This where they take the top part of the stomach and wrap it around the esophagus allowing food and secretions to go down but "hopefully not come up. He told me that 95% of physicians will look at a child with Makenzie's symptoms and recommend this surgery. He does not. He told me he does do the surgery but every year makes a hand full of kid completely miserable because of the side effect which can not be foreseen until the surgery is done. This procedure can be reversed but it is almost certain that if done the reflux will come back worse then it was to start with. 3. They could place a Jejunostomy tube. This would mean creating another ostomy/whole on the other side of Makenzie's stomach. To do this they would go into her gut an reroute her small intestines to the second hole and she would be fed slowly through that whole with out having anything in her stomach. This would require Makenzie to be on the feeding pump for 12-20 hours a day. 4. Place a GJ tube through her current ostomy/whole. Been there done that. Makenzie was fed this way for almost 2 years. While it served its purpose it seemed to make Makenzie fairly uncomfortable. 5. A surgery similar to a gastric bi pass (weight loss surgery). This is the most invasive option. To do this they separate the stomach from the esophagus. They re route the small intestines to the esophagus so that the child can swallow their spit. The child is then fed from through the g tube and the intestines from the stomach and the esophagus meet at a y to finish the digestive process. There is more risk of infection and the chance the the intestines could kink and another surgery would be necessary to fix this issue. The other deficit is that other then swallowing secretions, comfort tasting, and small amounts of food, the child will be permanently unable to nourish their body by eating through their mouth. I listened intently and at the end of the conversation the doctor and I came to the conclusion that the best option at this point for Makenzie is #1... Do nothing. I am so glad that I went to this doctor. Not because I got the answer I was hoping for but because he is the first doctor that has been objective. The first doctor to look at my daughter as a whole and not just a puking child with CP. I will continue to research and consider my options but for today there will be no surgery. The reflux is not gone. There are still good days and bad days but I feel a huge weight lifted off of my shoulders!